< Back or Read "A brief history of rock and roll"
Neil Peart was born in 1952, just three years before the rock and roll phenomenon exploded onto radios and record players. But for rock and roll to rise the way it did, the right technological innovations needed to be in place. As it turns out, much of this technology was either invented or refined around the time Peart was born. Before the 1950s, most people listened to music or programs on bulky radio sets in their living rooms, or on 78-rpm records. Television had yet to become a dominant broadcast medium. Musicians were limited as well. The only electric options available to guitarists were hollow body models that didn't work so well at high volumes. And if you were a bassist, your job description included hauling around and playing a massive double bass. 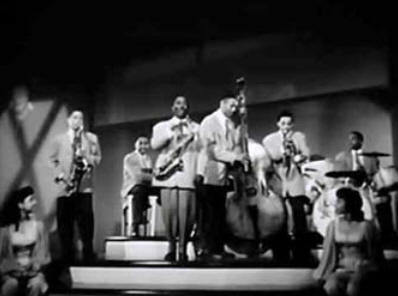 Above: The massive size of the double bass dwarfs Louis Jordan and the Tympany Five. 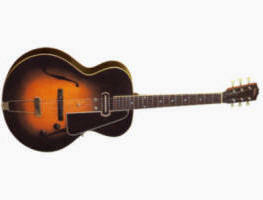 In 1940, Les Paul created a solid body electric guitar prototype, nicknamed "The Log." Les Paul tried to take the idea to Gibson, but they weren't interested until Fender introduced a solid-body guitar model in 1950, the Telecaster. In 1952, the iconic Gibson Les Paul was introduced, and by the mid-50s, relatively-cheap, good quality electric guitars were available. Starting in 1948, "microgroove" technology for vinyl records was invented. 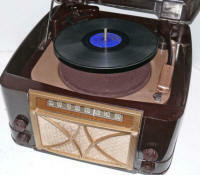 These records produced better sound quality and had more durability than 78-rpm records. Two competing formats emerged: the LP (long-play) from Columbia Records and the 45-rpm format from RCA Victor. Both formats became successful and helped to drive the development of rock and roll. The Fender Precision Bass was introduced in 1951, the first electric bass. Now bassists had the option to play (and carry) a smaller instrument that could compete with brass sections and electric guitars. In the early 1950s, guitarist Les Paul pioneered multitrack recording with an Ampex 8-track recorder. For the first time, musicians could record different tracks of music at separate times. Television, which had entered its Golden Age starting in 1949, began reaching a broad American audience by 1953. Television would play a large role in promoting rock and roll music and culture, especially as bands performed on The Ed Sullivan Show and American Bandstand. The invention of the transistor in 1947 led to the pocket-size transistor radio in 1954. For the first time, people could take their music anywhere. To find out more about how rock and roll developed, and where Neil Peart and Rush fit into its chronology, see the next section, A brief history of rock and roll.